There are no more chances for Steve Ballmer. This is the end. His swansong. The final hurrah. Microsoft's CEO stepped onto the Consumer Electronics Show keynote stage for the last time tonight. If my count is right, a Microsoft chief executive has given 13 CES opening keynotes -- with this year's the 12th consecutively. Ballmer's last is his third. Ballmer was in good form as he donned the stage. Boisterous, cagey but not his usually caged manner -- he typically paces around like a penned up tiger, and he often yells like one growls. Ballmer was subdued tonight, as he took the stage with Ryan Seacrest, who seems to be everywhere these days (not just "American Idol"). 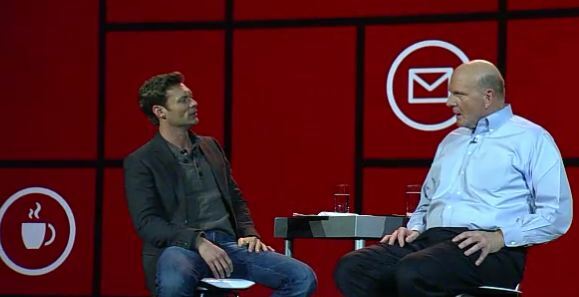 Seacrest was an excellent choice for a fireside chat with Ballmer. Many people probably don't remember the TV-show host from his days at CNET. Yeah, CNET. Seacrest co-hosted a tech show. Ballmer took the stage with Seacrest, following an important day for one of Microsoft's most valued products, Windows Phone, which market share ails, by the way. Late this afternoon, Las Vegas time, Nokia unveiled the long-rumored Lumia 900 Windows Phone. The handset features LTE connectivity, like the HTC Titan II announced hours earlier. Both smartphones are crucial additions at a time when Androids and iPhone gobble up users like voracious Pac-Men. Neither Windows Phone will ship for months, and pricing wasn't announced. That bad form of shipping months after launching is typical of Nokia, much less so for HTC. Not surprisingly, Windows Phone was the first big topic between Ballmer and Seacrest and the long product demo that followed (and we've heard it all before). Then Ballmer started to get animated -- the tiger came out. He boasted about the Lumia 900 and its sibling 710, which goes on sale Wednesday from T-Mobile. Seacrest shifted the conversation to Windows 8. Ballmer returned to boast mode -- about there being 1.3 billion Windows PCs in use today. 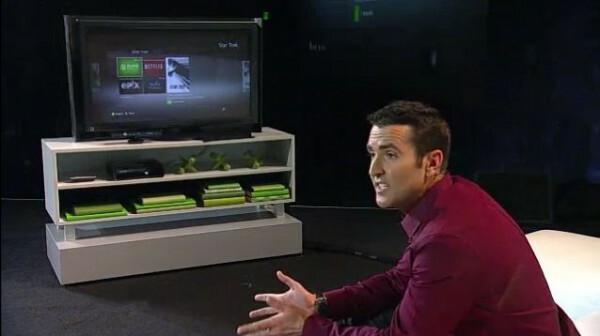 A Windows 8 demo followed, and by far Windows Store was the most impressive part. More than anything else Microsoft plans for the new OS, Windows Store promises to truly reinvigorate developer and customer interest in the platform. Microsoft will officially open the store in late February. It will launch globally, and eventually be available in more than 200 markets. Windows Store demos really well, and the new operating system's touch and gesture capabilities are part of the appeal. Seriously, Microsoft could be the comeback kid, pulling some of those Mac switchers back to Windows. Some of the connected features also appeal, such as sharing between apps but, of course people, too. Now if only Microsoft could cajole its partners to get new HTC and Nokia Windows Phones to market around the time Windows 8 goes public beta. You can look for that late next month. 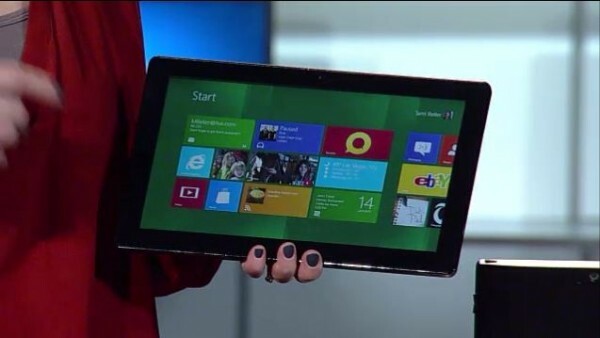 "Every Windows 7 PC will be ready for Windows 8 on Day One", Ballmer said following the demo. Then came a surprise -- The Tweet Choir, below. When was the last time you heard Twitter put to music? 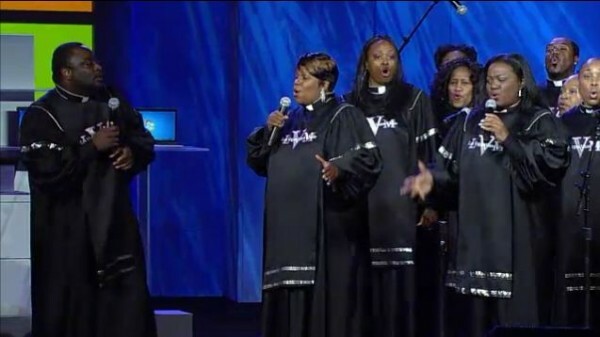 From the choir, the keynote moved on to Xbox. 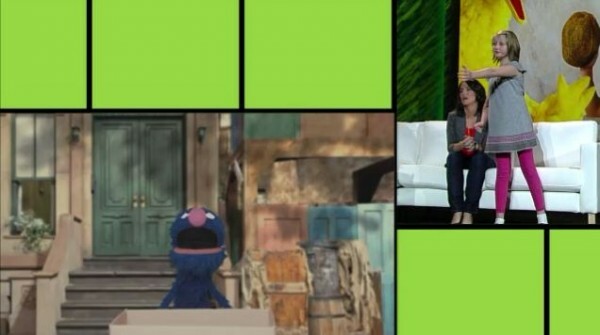 Perhaps the most interesting part of the demo was "two-way TV", where the young girl used Kinect to throw coconuts into the box on "Sesame Street". The feature comes to Xbox later this year". Ballmer said, "We're just getting started". Seacrest described it as "the magic of Kinect" -- available to industries outside entertainment. "I'm proud to announce Kinect is coming to Windows on February 1st -- just a couple weeks", Ballmer said. Microsoft announced the Kinect for Windows SDK last year. Ballmer finally found his tiger spirit, even seated, when Seacrest asked if what they had seen tonight was everything. "Not by a long shot, Ryan", Ballmer boomed. Seacrest wrapped up by asking "What's next?" "Windows 8 is what's next!" Ballmer roared. "There's nothing more important at Microsoft than Windows". Ballmer went on to talk about the Metro user interface expanding across all Microsoft platforms. "Metro will drive the new magic", he boasted. At Microsoft, using its new math, one plus one equals three. In a fall back to his much-caricatured "Developers! Developers! Developers!" Ballmer ended Microsoft's last CES keynote: "Metro! Metro! Metro! and, of course, "Windows! Windows! Windows!"